Genusity operate in the marketing MLM niche and are based out of North Carolina in the US. 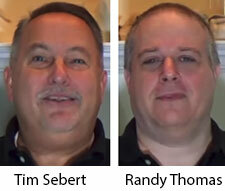 A marketing video on the Genusity website reveals Randy Thomas and Tim Sebert are co-founders of the company. been in the network marketing industry now going on forty-one years this October. Randy Thomas claims he’s been ‘in the network marketing industry for over twenty-six years‘. The most prominent MLM companies they’ve been affiliates of appear to be Skinny Body Care and before that, Global Domains International. In 2015 Sebert and Thomas signed up as HopRocket affiliates. In 2016 they launched the 10x Recruiter pyramid scheme. Today the 10x Recruiter website is still online, however Alexa traffic estimates for the site suggest it has long since collapsed. Read on for a full review of the Genusity MLM opportunity. Traditional Advertising Is Dead! Stop Wasting Your Money! No one reads the Newspaper these days. People don’t watch cable, they watch Netflix and Hulu! Radio ads are never heard anymore. Banners and Billboards are too expensive! place their messages and websites in front of everyone with an Android cell phone (with Bluetooth enabled) within their radius. 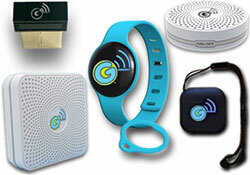 Genusity’s products are also available in a Mega Pack, which includes one of each beacon. The Mega Pack costs $198 and then $99 a month. Note the monthly fee is for service activation, without which the broadcast ad on the beacons cannot be changed. Genusity pay commissions on the sale of beacon products to both retail customers and recruited affiliates. There are five ranks within the Genusity compensation plan. Retail customers count towards rank qualification so long as they continue to pay their monthly service fee. Affiliates count toward rank qualification so long as they continue to pay their monthly $15 affiliate fee. Genusity pay direct and residual commissions via a unilevel compensation structure. Direct and residual commissions are paid as a percentage of beacon sales and monthly fees paid by retail customers and recruited affiliates (excludes monthly affiliate fee). Infinity Overrides enable a Genusity affiliate to earn beyond the first three levels of their unilevel team. Note that if all paid generations in each rank are not satisfied, the last generation of a unilevel leg runs down to the end of the leg itself (hence the term “Infinity Override”, also known as an Infinity Bonus). 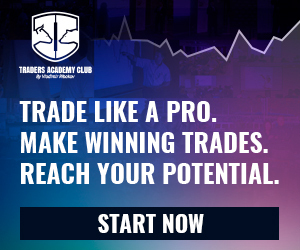 Genusity affiliate membership is $15 a month. I’ve reviewed a few Bluetooth beacon MLM opportunities now and my opinion on the beacons hasn’t changed. I can’t stand spam and I don’t run anything on my phone I don’t need to. This includes Bluetooth, which I keep disabled unless I’m specifically trying to connect my phone to an another device. For me and anyone who uses their phone in a similar manner, Genusity’s beacons are all but useless. We won’t be reached. Despite Bluetooth defaulting to disabled on most mobile devices, comments left on our Royaltie and Asirvia reviews suggest some people do leave Bluetooth on. With respect to spam, the argument here is that notification disappear when a phone travels outside the broadcast range of a device. Fine if you’re travelling from A to B. But if you’re lingering in an area with one or more beacon devices broadcasting, things could get annoying very fast. Whereas Royaltie and Asirvia have concentrated their beacon offering on single devices (the equivalent of Genusity BB), Genusity offers a bit more a range. These options provide versatility for end users, which is always good for the consumer and gives Genusity an edge. Price wise Genusity seems competitive, which means retail should, in theory, be viable. Alexa’s Royaltie and Asirvia website traffic estimates have gone into decline over the last month or so. It’ll be interesting to see whether this is an evening out after launch hype, or whether bluetooh beacon marketing and MLM is/was little more than a passing fad. If so, Genusity might be too late to game (Royaltie and Asirvia’s Bluetooth offering popped up on my radar in the second quarter of 2017). Another common concern to watch out for is affiliate’s being the primary purchasers of the beacons, which are then used to market Genusity itself. One or two beacons might be fine, but if your upline is buying beacons and keeping them active solely to market Genusity’s MLM opportunity, with their downline doing the same, potential pyramid scheme concerns arise. The MLM history of Randy Thomas and Tim Sebert would normally be of concern, however Genusity does appear to have a genuine push for retail sales. Genusity affiliate rank requirements are a great example of this, with affiliates always required to have more retail customers over recruited affiliates. One final bit of info we don’t have with Genusity is who is the manufacturer of their beacons. This makes source price comparison impossible. With commissions as high as 45% on fees paid, there’s a chance Genusity’s markup is too high compared to what’s available outside of the MLM space. A search on Alibaba for “bluetooth beacon” for example, returns 13,948 results starting at $1 USD. These devices are readily available from manufacturers for much cheaper, so keep that in mind when sussing out price comparisons.